Made by Red Giant Software and available at the iTunes store, this package is full of surprises. The way I use Plastic Bullet makes use of the ability of the app to output a virtually endless set of variations of the one image. Combine this with the power of Photoshop and together you have some very interesting editing possibilities at your disposal. 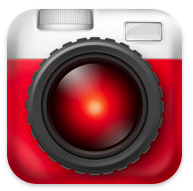 You can download the app at iTunes or via the Red Giant Software link above. I often combine this with Tiltshift with good results.